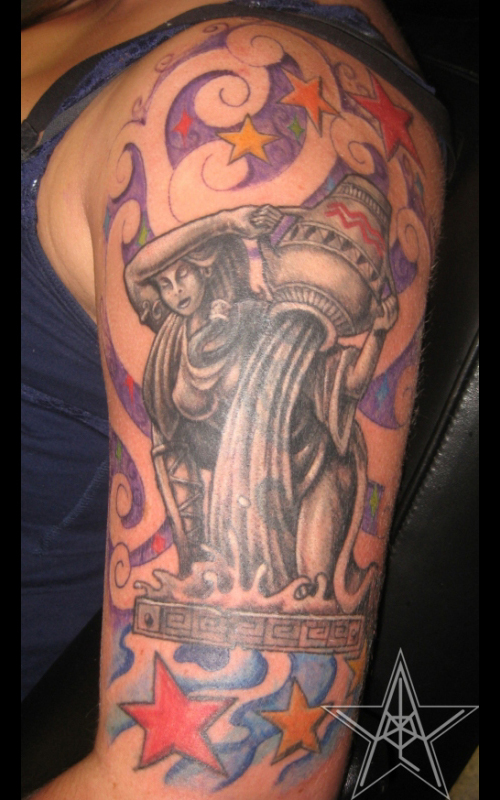 Aquarian Cover Color custom aquarius tattoo. Winds of Time Color accent custom wind tattoo. 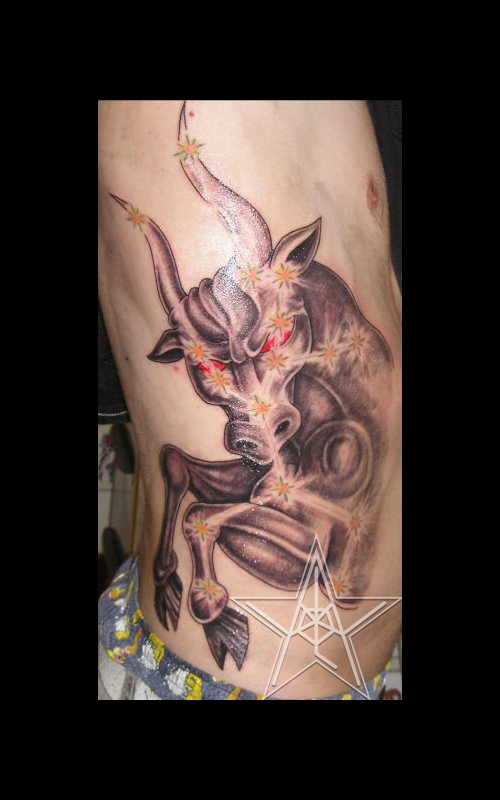 Taurus Stars Color accent custom Taurus tattoo. 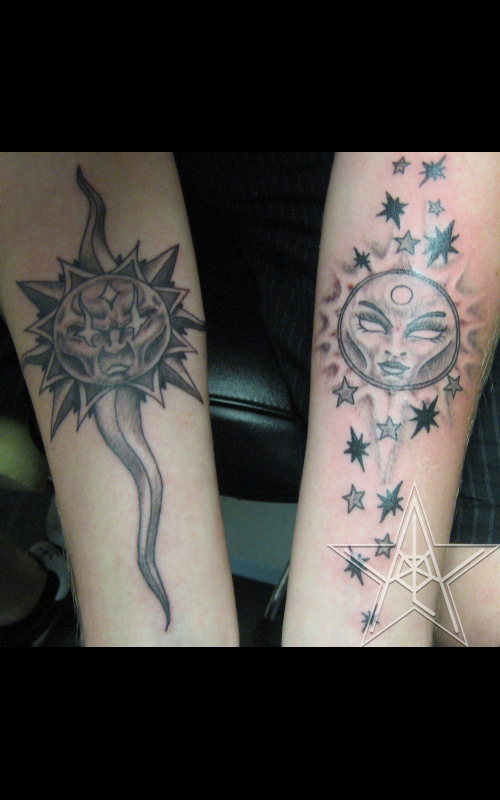 Day and Night Black and grey male face sun and female face moon tattoo. 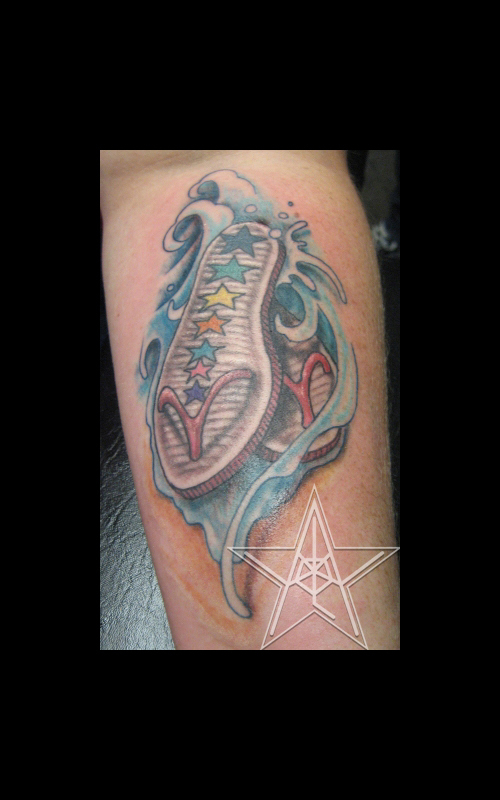 Day at the Beach Color custom water and flip flops tattoo. 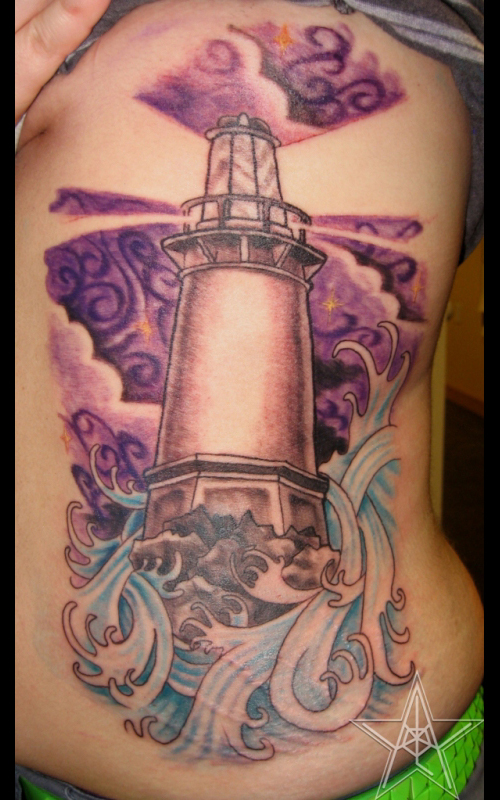 Port in the storm Color custom clouds, water, and lighthouse tattoo. 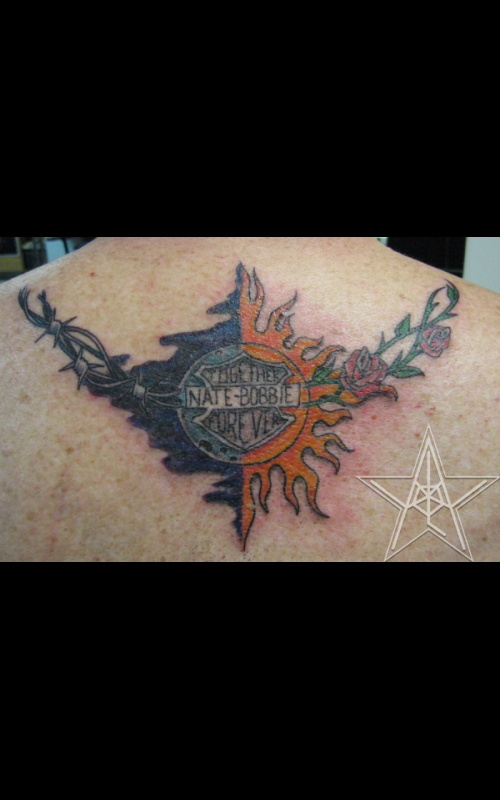 Nate and Bobbi I Color custom matching sun and moon tattoo. 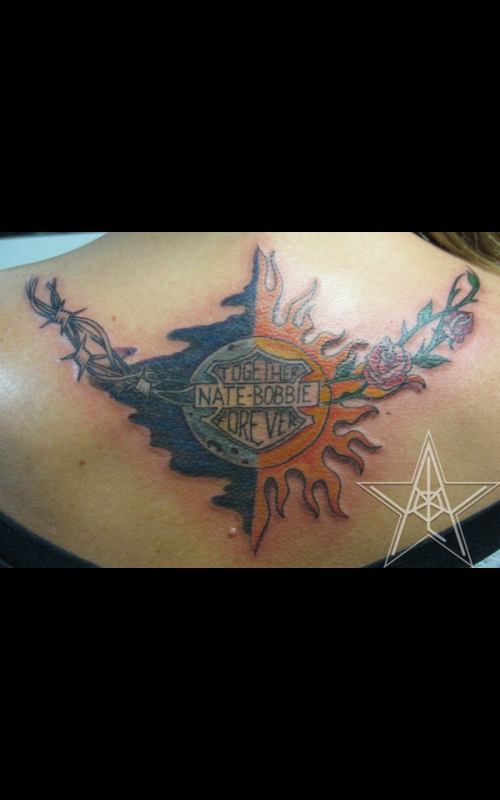 Nate and Bobbi II Color custom matching sun and moon tattoo. 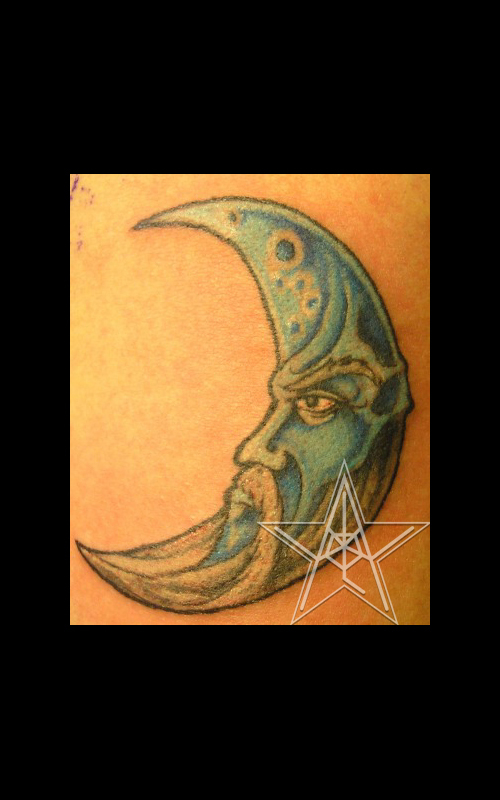 Father Night Color custom man in the moon tattoo. 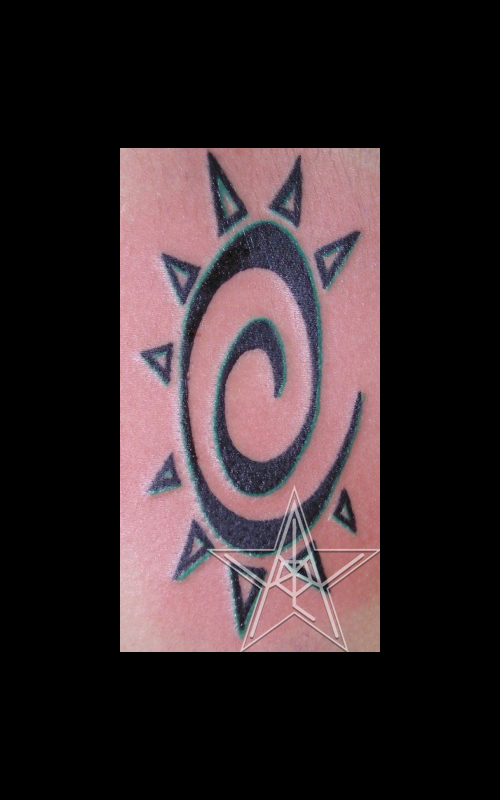 Ancient Sun Color accent ancient sun symbol with rays tattoo. 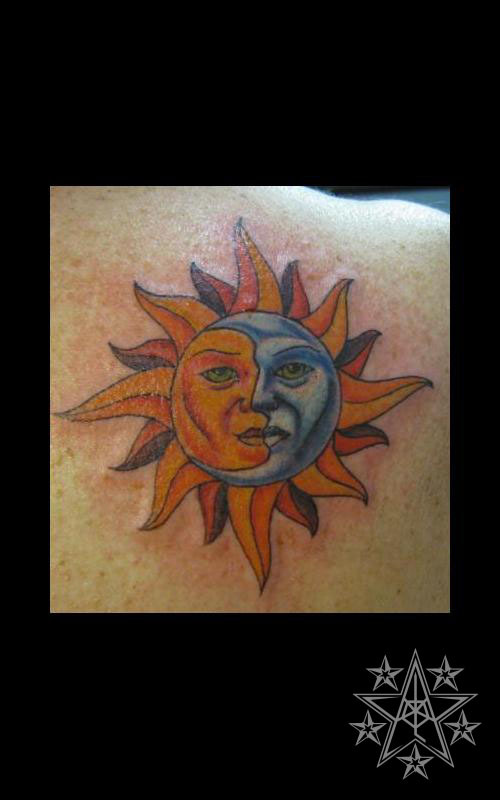 Stoic Days Sun and moon tattoo. 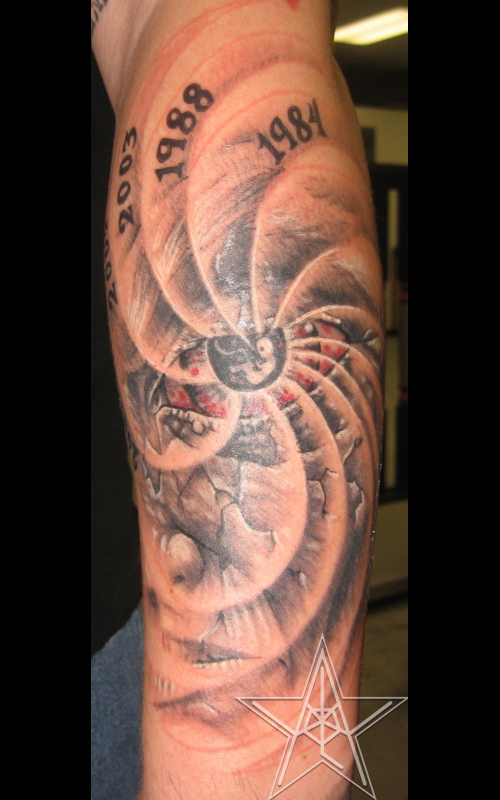 Elemental tattoos by Ray Reasoner Jr.
Elemental- This topic includes earth, air, water, fire, and also extends to other elements of existence. These can include any forces or base forms that we deem to have impact on our lives or to be useful to us such as hot and cold, day and night, sun and moon, wet or dry, etc. Sometimes people get the alchemic symbols for the element that they relate to or the four main ones.